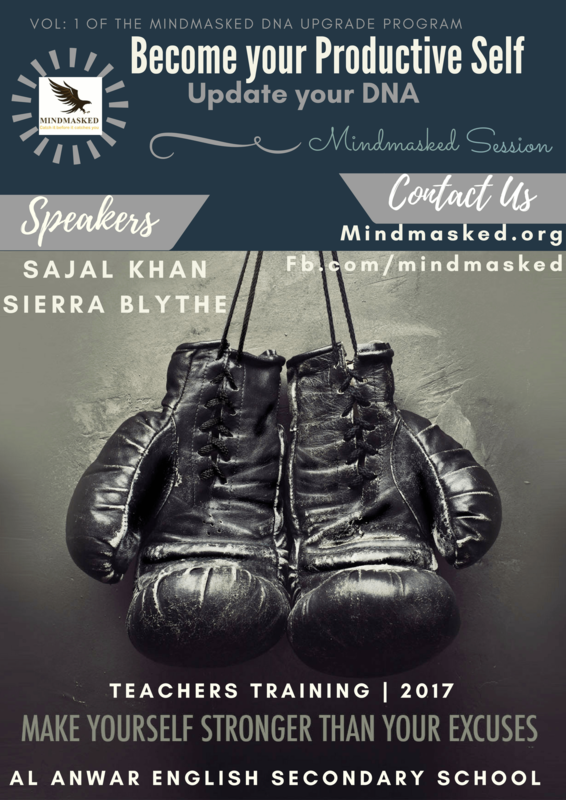 Mindmasked is not only about mind philosophy, human behavior and societal beliefs but it also conducts sessions to raise awareness in society. These sessions are designed to bring improvement in one’s personal and professional life. 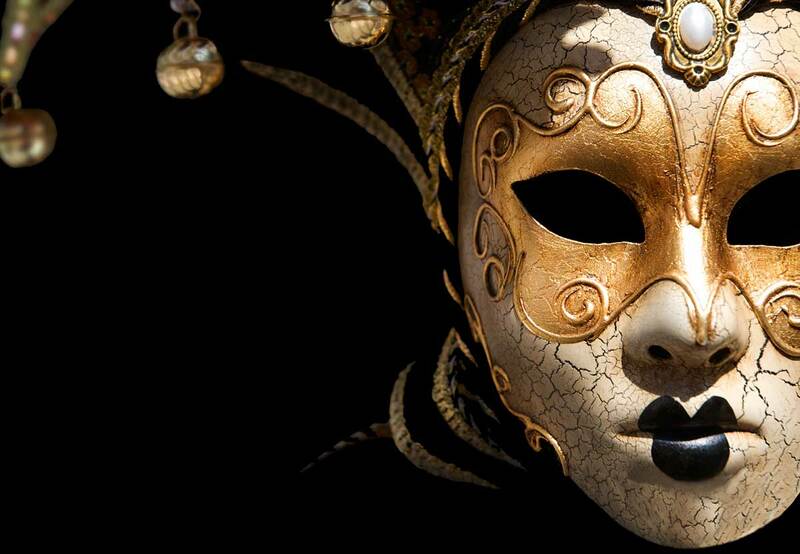 Through these sessions, numerous trainings, exercises and lectures are conducted to bring authenticity in life, to generate focus in tasks and targets and to break masked faces. These sessions are conducted with diverse range of people however emphasis is mostly given to parents, teachers and students because they are building block of any society. 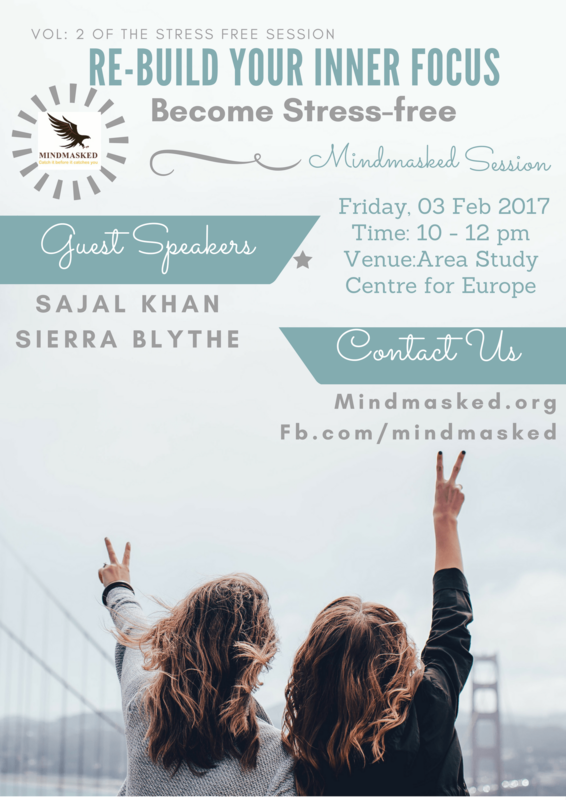 The first session of Mindmasked was conducted with Eureka – an institute for English learning – and it was attended by nearly 25 people. 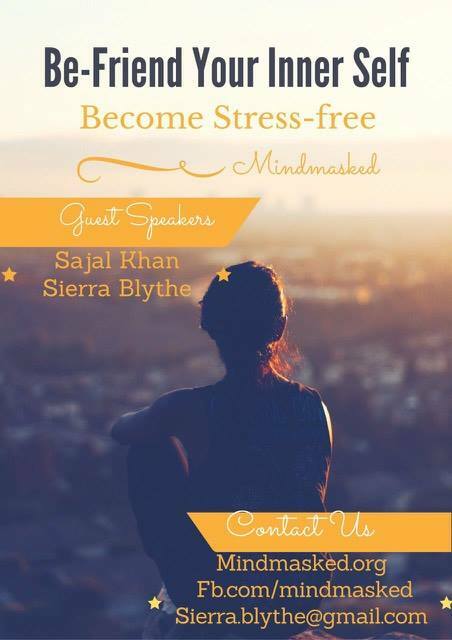 This session initiated the series of Be-Friend with Your Inner Self, which targeted students. It has been highlighted that what factors cause stress and prevent students to study with maximum aptitude. It followed by certain activities, in which students have been trained to remove stress from their life. Our first session was student oriented. 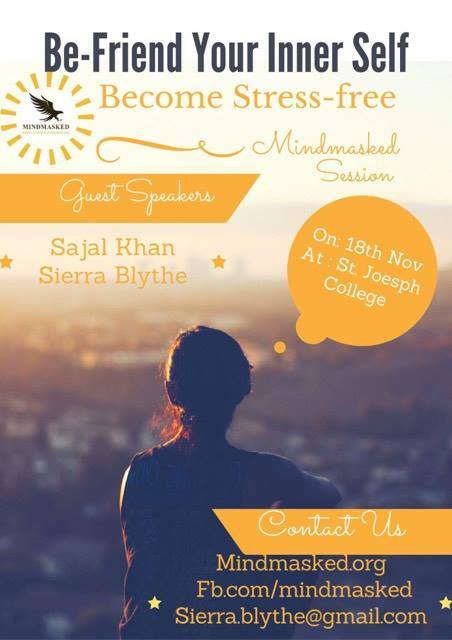 By keeping the series of Be-Friend with Your Inner Self, Mindmasked targeted the teachers of St. Joseph College. This session was attended by 42 teachers and other staff members. Here, the discussion has been conducted about teachers’ stress and the reasons which obstruct their 100% productivity. The activities have trained teachers to minimize their stress level and prevent its negative impact on their students and children. The third session of Mindmasked has been conducted with students and teachers in ASCE, a renowned department of University of Karachi. It has been attended by 25 people, most of them were research students and carrying out their M.Phil and Ph.D. Due to research orientation of this audience, Mindmasked has discussed that how one can attain Focus in personal and professional life. This session was highly interactive in which audience fully participated to voice their opinion. Students discussed those issues and problems which prevent them to bring focus on their research. This session also conducted several activities, which trained students and teachers to become more Focused towards their studies and job.